The 1930s are back! 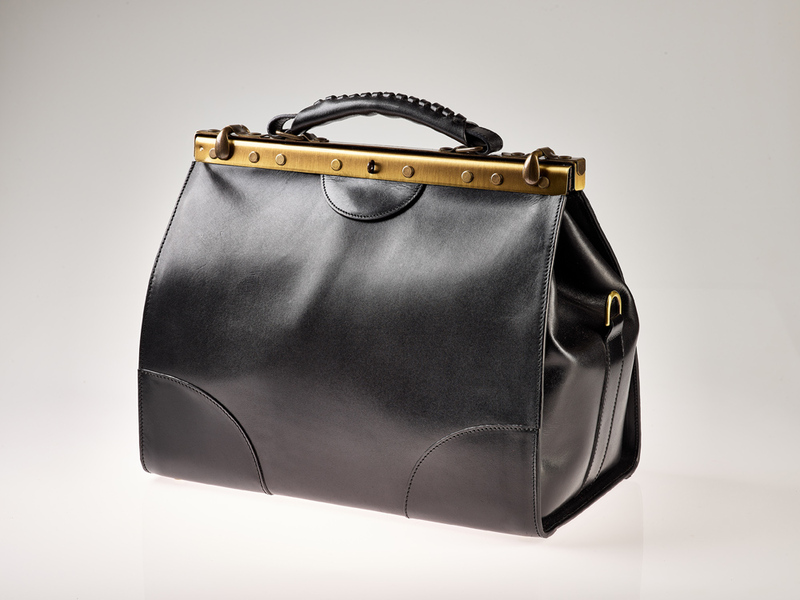 A great comeback for the classical doctor's bag that will keep you company forever. The more it ages, the more beautiful it becomes. This is the bag of a lifetime. The artisanal hand-stitched handle gives you an excellent grip. We redesigned the bag with a crossbody shoulder strap and a leather piece to provide maximum comfort and balance. Important Notice: The frame that we use on our old western bag is made in Italy. The originality of this frame is its vintage quality and the fact that it ages beautifully with the leather, giving an old rich well-used aspect to the bag. In time, the frame will oxidize. Oxidation is the result of contact between iron and air. This is very normal and expected. It also inevitably gets scratched as it's sensitive. Our technicians take every measure to handle the bag with great care at all times. They have to open it and close it a few times when they are setting the frame to make sure it is working properly. It gets naturally scratched on the openings. So we thank you for understanding that these are not considered "defects" and they are integral characteristics of the bag.